William (Bill) Halliday, a 49-year-old Canadian from Toronto, died around one o’clock in the afternoon on Saturday, March 10, 2018 in a hospital in San Pedro Pochutla, Oaxaca. 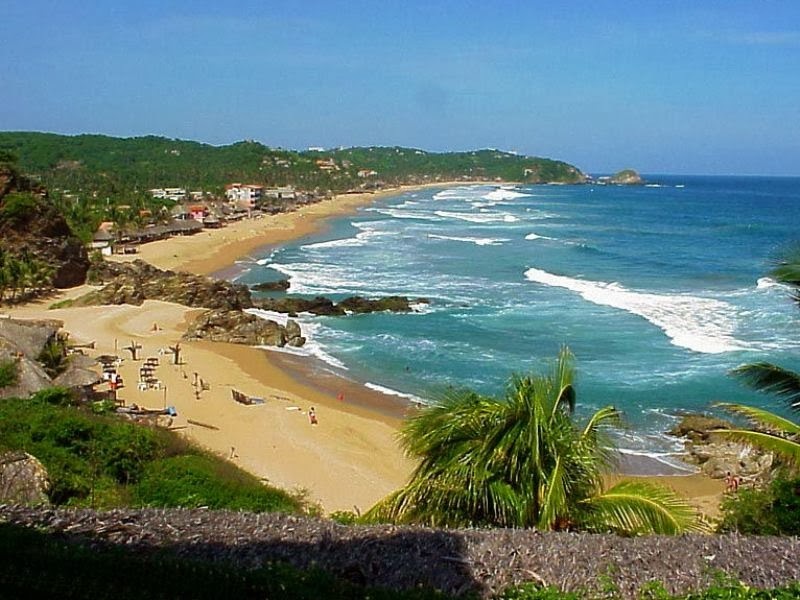 According to a Canadian friend, Bill had come to the Pacific Coast of Oaxaca, specifically the beach at Zipolite, after the breakup of a multi-year relationship. The circumstances surrounding Bill’s death are disturbing, particularly in the context of his final text messages. The last communication to his friend, shortly before his death, was: I fucked up badly I should not have done what I did they are xom Coming to get me I am afraid (sic). This was sent at 11:24 am on Saturday – just before he was found in distress by the side of the road near Playa del Amor and transported to the hospital, where he died. Bill, who lived in the Dufferin and Bloor St. area in Toronto and had a private construction business, had wanted to visit Zipolite since he was a teenager. He had struggled with addiction issues in the past, but had been clean for some time. Sadly, that all seems to have changed during his holiday on Mexico. Bill arrived in Mexico on Tuesday, March 6. That night he went to "Bang Bang", a late night bar run by a French-Canadian of the same name – a man with “Bang Bang” tattooed on his fingers. Things got off to an inauspicious start: apparently that night, or soon after, Bill claimed to have lost an expensive pair of sandals. During dinner at a restaurant on the 7th, Bill was present with another woman. At the meal he exhibited odd behaviour. He was fidgety, and drinking. Others present at the dinner noted Bill’s odd behavior. In the end, Bill’s friend paid for both him and his female companion. That was the last time she saw him alive. Accounts from locals with regard to the hours surrounding Bill’s death are disturbing. The two sisters who run the Posada Mexico, where Bill was staying, told Bill’s friend that he was found near Playa del Amor, at the eastern end of the beach, late in the morning on March 10. This is at the opposite end of the beach from his hotel, about a mile away. It seems that Bill was not found on the beach per se, but in the dusty street behind it. The police then took him to the hospital, where he died. Upon news of his death, the hotel immediately contacted the Canadian embassy. La politica has reached out to Canadian officials, who are typically tight-lipped due to the constraints of the federal Privacy Act. The owners of the hotel had already cleaned Bill’s room before the police arrived, getting rid of all bedding and towels. The hotel owner is apparently convinced that Bill was ill. If so, it would have been a rapid onset illness, perhaps exacerbated from drug use. “He seemed like the healthiest guy in the world to me!” says his friend. However, another Canadian who was in Zipolite at the time was told that Bill never slept at night and, instead, wandered around in what might have been “some kind of drug seeking behaviour.” In fact, it was only the night watchman at the hotel who ever saw Bill. The authorities appear to be looking upon this as an open-and-shut case. That said, it is unusual that there is no investigation with regard to the fact that Bill’s personal effects are gone – neither his phone nor his wallet were on his body or in his room. This, despite the fact that he was texting his friend in distress just before he was found. At the very least, either before, during, or after his death, Bill Halliday was robbed. The accounts of the hours leading up to Bill’s death are confusing. Second hand reports from the area claim that people saw him running in the Playa del Amor area late in the morning on March 10. He appeared to be scared. This would have been on or around the time that he sent the text message to his friend saying that he had “fucked up badly” and that unknown persons were “coming to get” him. According to these accounts, Bill ran until he jumped into some bushes behind a small store. He was “trapped and flailing” in the bushes. Disturbingly, there were police and ambulance sirens already in the distance. This is likely the same story recounted in the Mexican press, which gives Bill’s name as “William Bruce” and claims that a Canadian died “after ingesting some type of drug”. 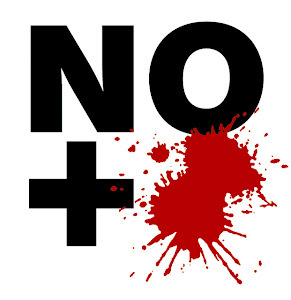 In this account. Bill is “running scared, screaming like crazy, gesturing and making grotesque movements.” The report quotes witnesses as saying that Bill suddenly fell, stupefied, into the bushes. The authorities then arrived and took him to the hospital. The Mexican report says that “William Bruce” died in nearby Puert Escondido, which is incorrect – there have been no reports of a Canadian dying in Puerto Escondido at that time. As well, Mexican news reports often assume that the middle name of a Canadian or American is in fact a person’s last name. This is because the Mexican naming system uses two surnames, with the patronymic being in the middle. However, La politica has been unable to confirm whether or not Bill’s middle name was “Bruce”. La politica has been unable to ascertain if an autopsy was conducted or what, if any, action is being taken by Bill’s family or the Canadian government. Bill Halliday:[redacted] I cant go for breakfast! I will meet you at San cristobal just after 8 am! Friend: Ok! Take in some of that beach! Friend: Hey Bill! I’m back from Puerto Escondido. [Redacted, says will go to the beach at 5:30]. I hope you had a great day! Friend: Bill, I hope everything is OK. Let me know when you want to get together next. I'm thinking about going to Mazunte tomorrow if you're interested. Friend: No need to apologize. 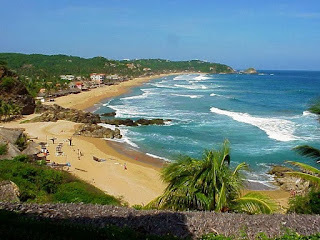 Would you like to go to Mazunte in the afternoon? There is a great hike through the mountains. You can see the southern most tip of Mexico! Friend: Ok. Be well. When you are feeling better send me a message. Friend: Who is coming to get you? Why? Friend: Where are you, Bill? Friend [Name redacted] called to say you went to a hospital... are you OK?